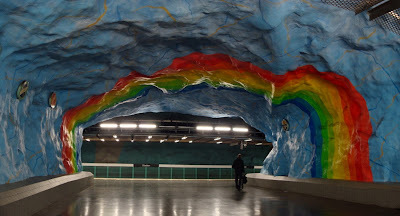 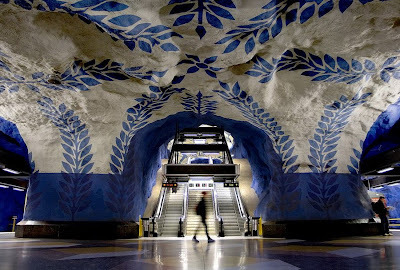 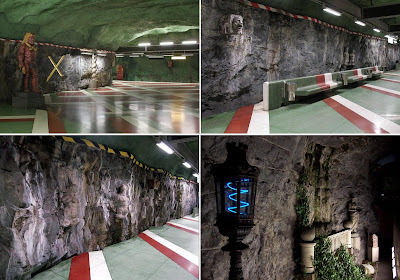 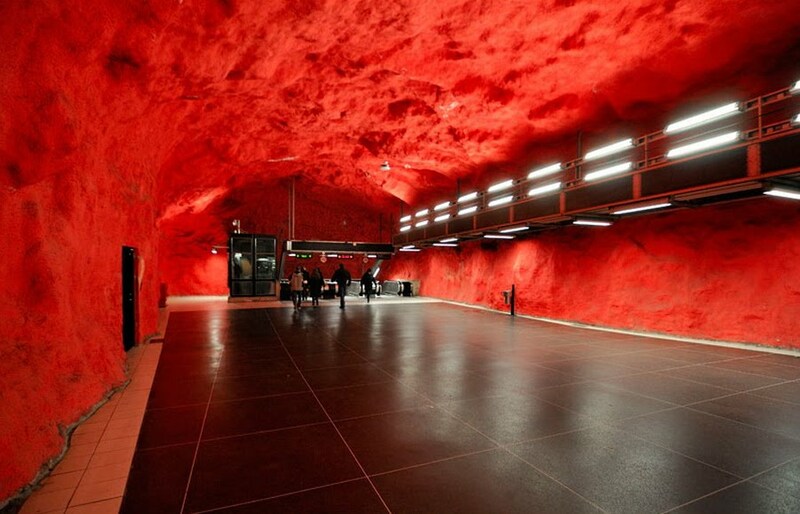 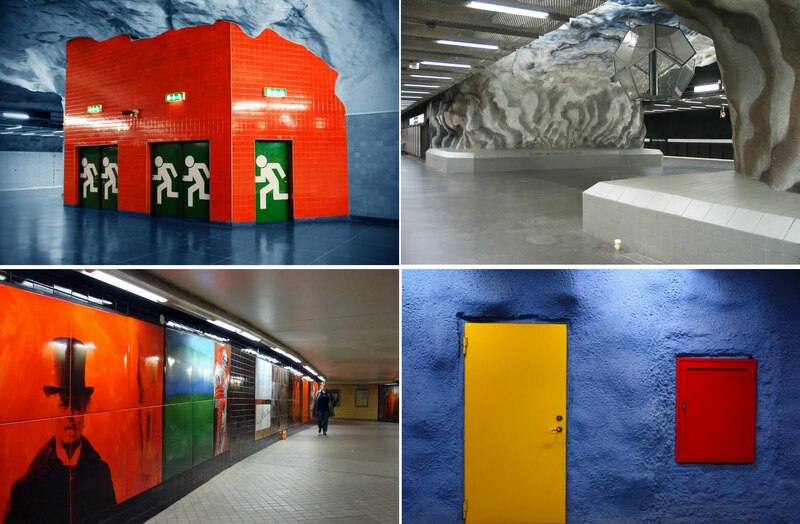 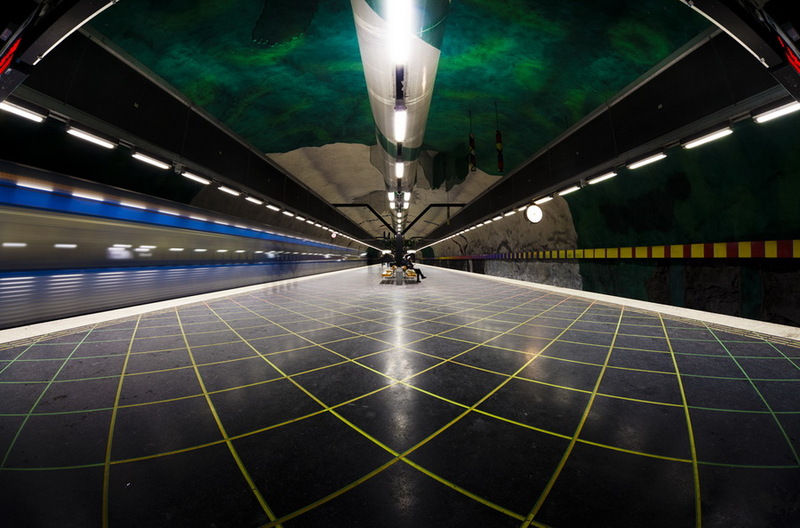 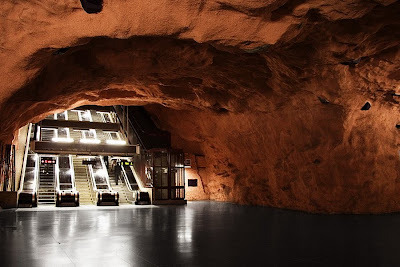 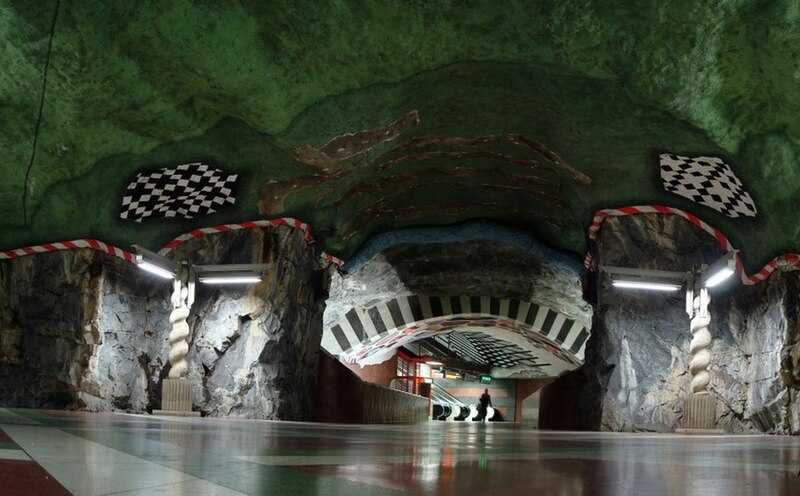 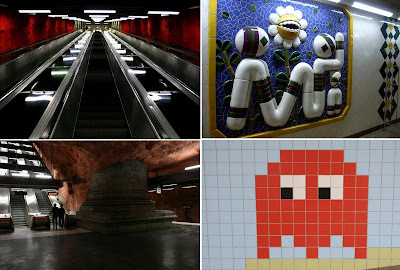 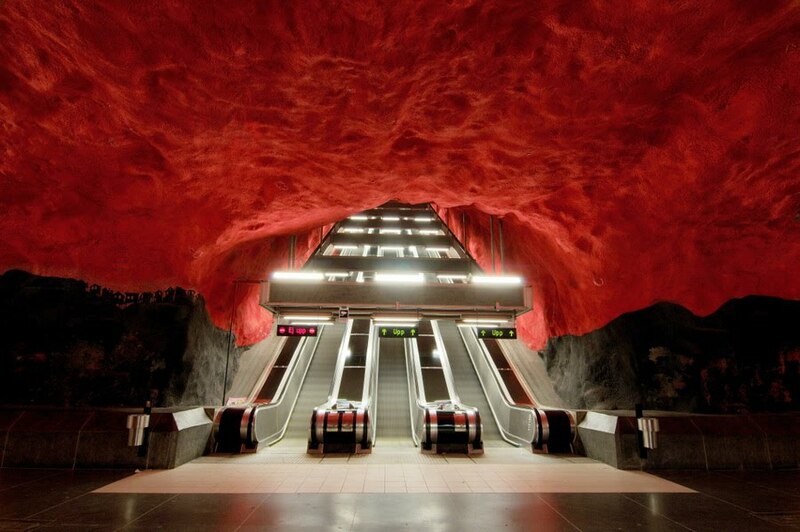 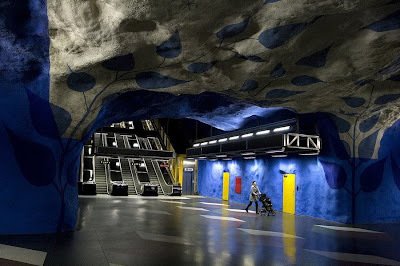 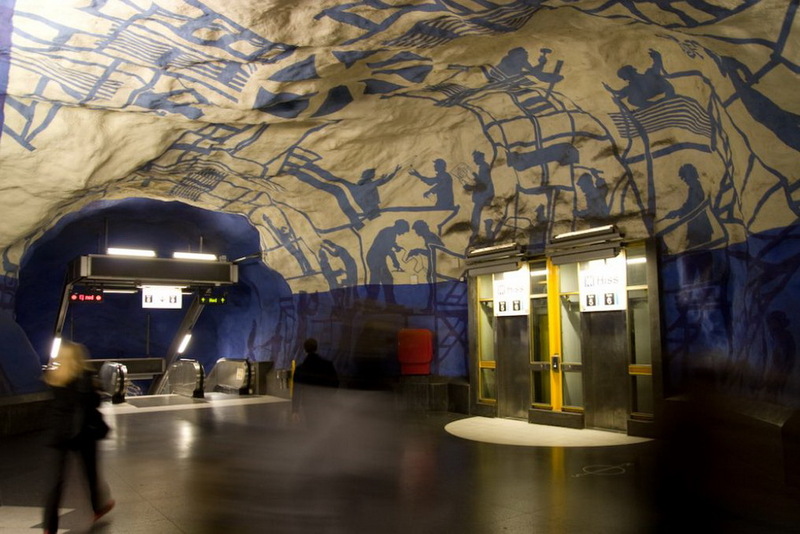 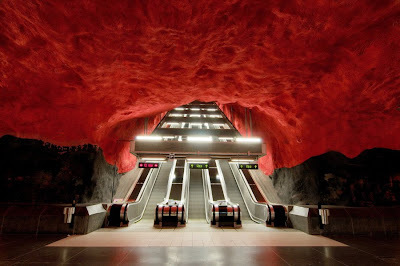 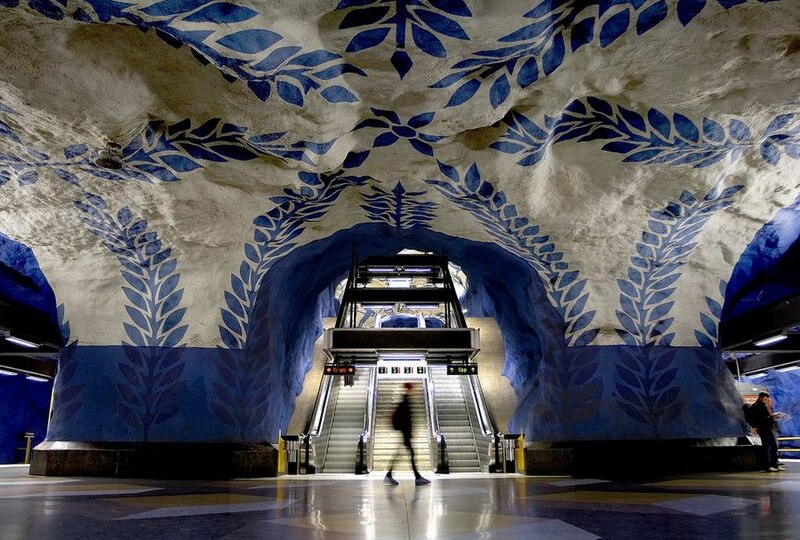 The Stockholm Metro System has 100 stations in use, of which 47 are underground and that's what interests us. 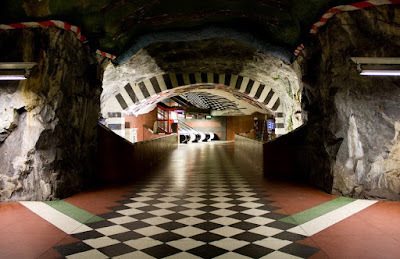 They are well known for their decoration and its been called as the longest art gallery in the world. 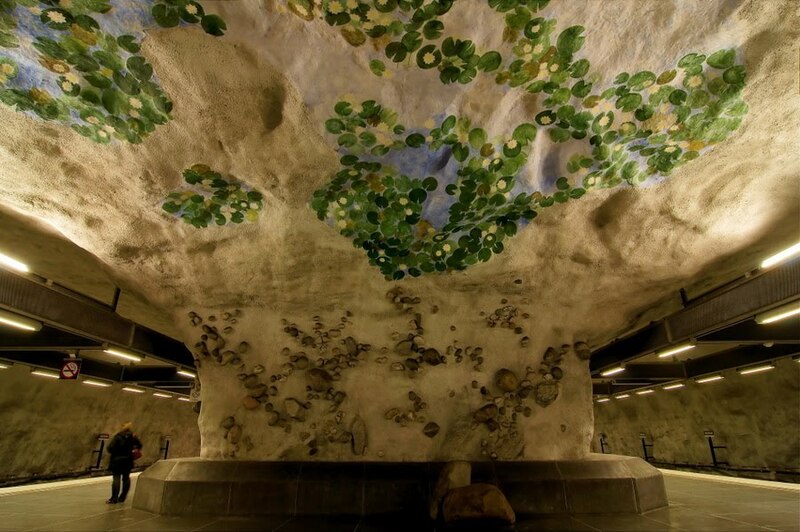 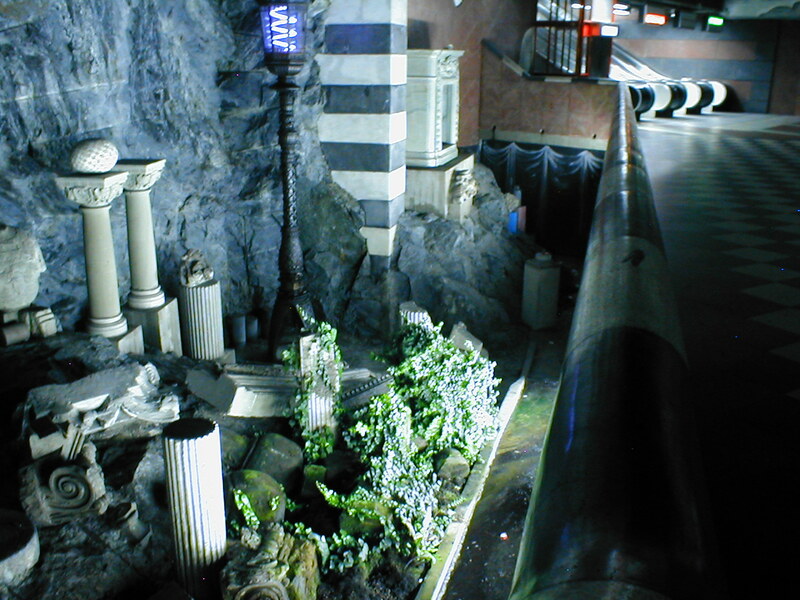 Many of these stations use organic architecture that leaves the bedrock untouched in their natural form as a part of the decorations; which appears to be based on natural cave systems. There is an informative wall fresco about the history of Earth's civilizations that runs along both sides of the platform at Rissne. 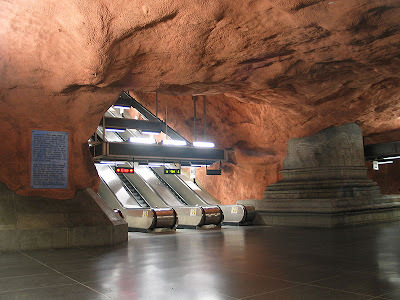 And at Kungsträdgården metro station the sculptures that are seen come from many buildings pulled down during the redevelopment of central Stockholm during the 50s and 60s. 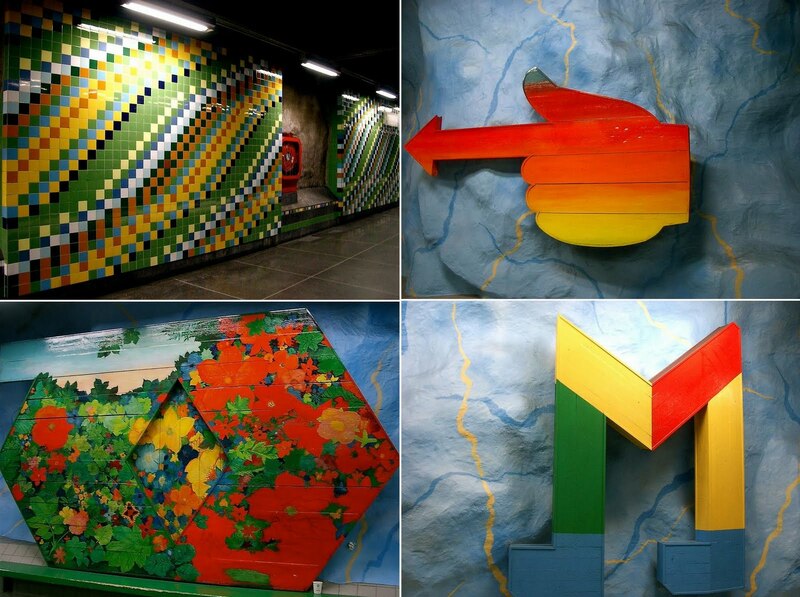 These stations reminds us of the Moscow Metro Stations that have some really impressive art. 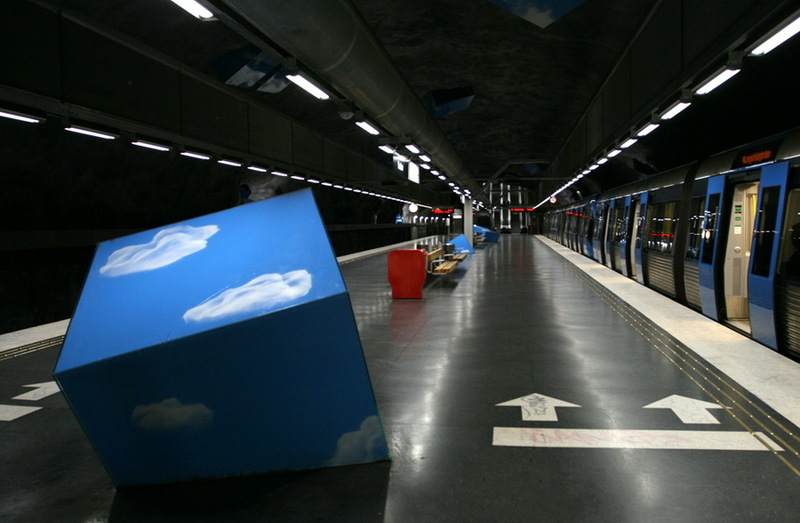 (Image credit: 1, 2, 3, 4).